In a world full of Barbies and Bratz dolls, it’s heartbreaking to watch girls with body types that don’t match the mainstream ideal struggle to find a sense of self-worth. But all that’s beginning to change. Here at last is a doll for girls who have long, rectangular bodies and necks that hinge backwards. Amazing! Body positivity for the win! For years, girls whose bodies were long as hell and shaped like rectangular prisms have had no chance of finding dolls that looked just like them. 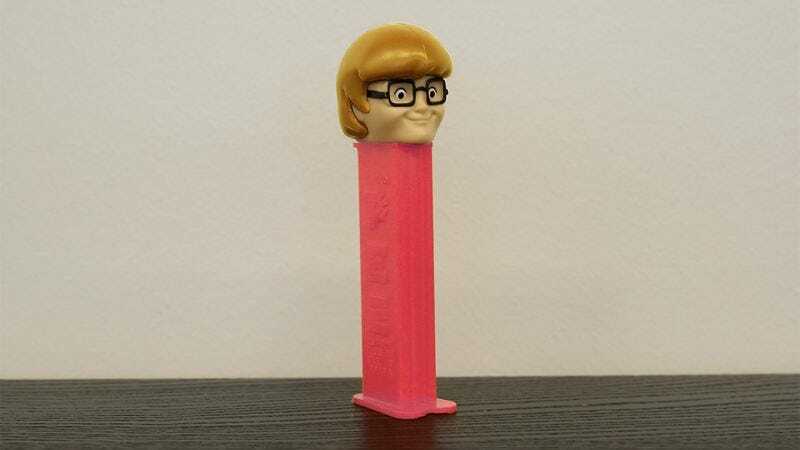 This new line of toys is here to show them that it’s okay to have a neck you stretch upwards so that the column down the center of your body can be filled with bricks. Girls shouldn’t have to cry because all their baby dolls have two feet instead of one wide, flat platform on which they precariously balance all their weight. They deserve dolls like these that represent their real, imperfect, gorgeous selves—flat, squared-off edges and all. We’ve always known that women in the real world don’t all look like cover models—they can be short or tall, heavy or slim, abled or disabled. Finally, girls who have giant heads shaped like well-known cartoon characters can see that they are normal, too. So to all the girls with no arms, no legs, no neck, and a gaping, visible trachea, these dolls are for you. And don’t ever forget: You are beautiful.